I received some happy mail a couple for weeks ago, that I knew would be perfect for a recent QDAD design (not shared yet on my blog). I love these Handcrafted prints by Alison Glass, the colors are so vibrant. This is the first of a series of quilts inspired by the colors of Winter’s peak – the winter solstice. I love the grey and cooler colours which I think are perfect for this winter theme. The Handcrafted prints worked well with the background fabric which is from Botanics, Carolyn Friedlander. 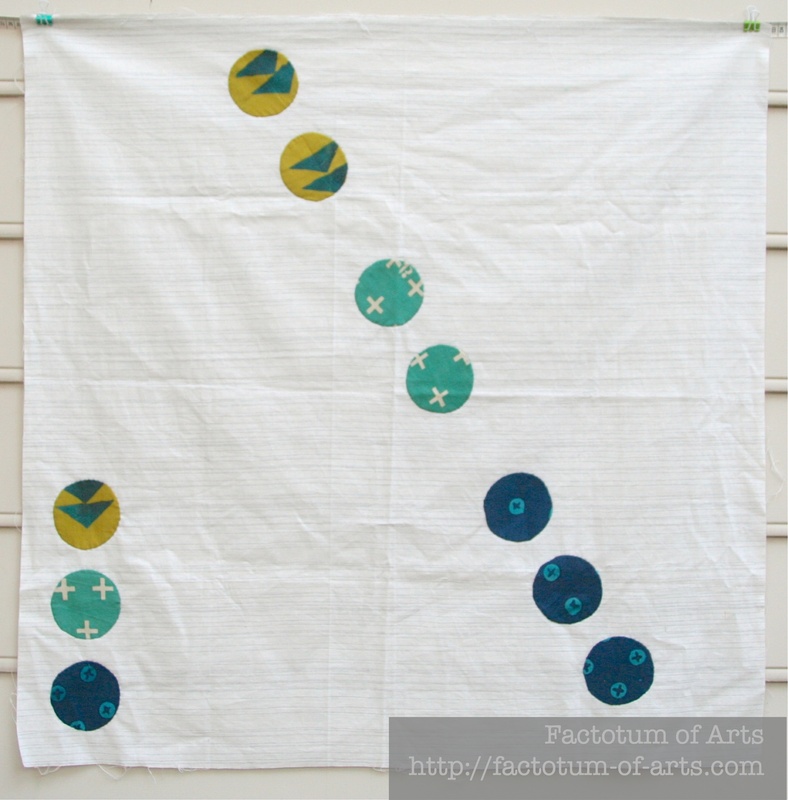 The quilt is 30 x 30 ” with circles at 3″ diameter (cut with a Olaf circular rotary cutter). I measured out the start and end positions of the two lines and for the diagonal line I used washi tape (or painters tape) to ensure the placement of the middle circles remain straight. 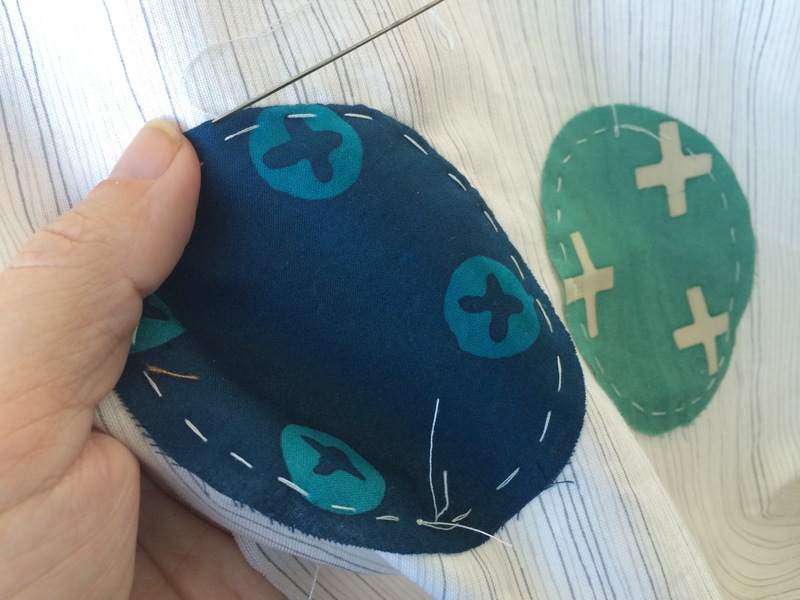 I tacked the circles at 1/4″ on the background fabric. 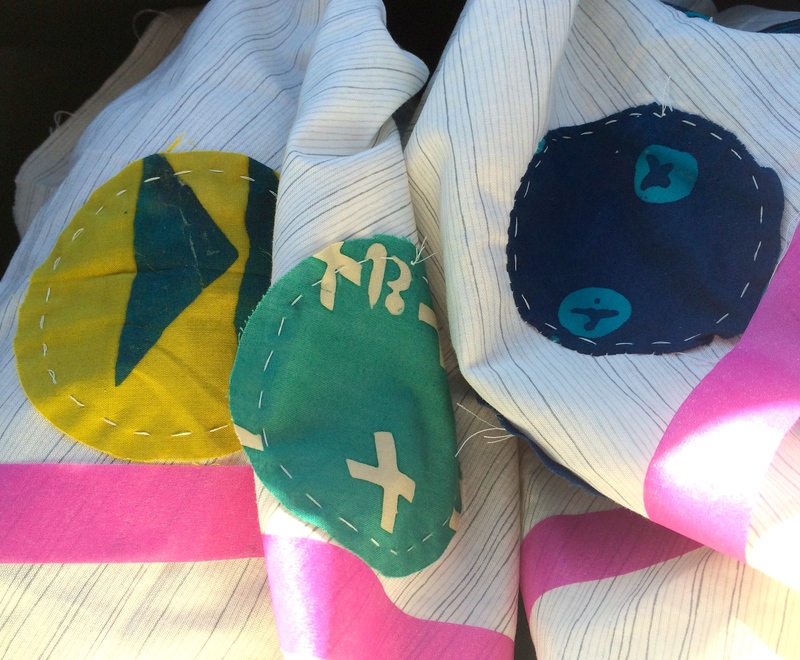 This was the perfect project for hand sewing on vacation….yes, I took it on our girl’s weekend and a business trip. Each circle, I used needle turn applique to finish the circles (similar to the technique shown in this tutorial). 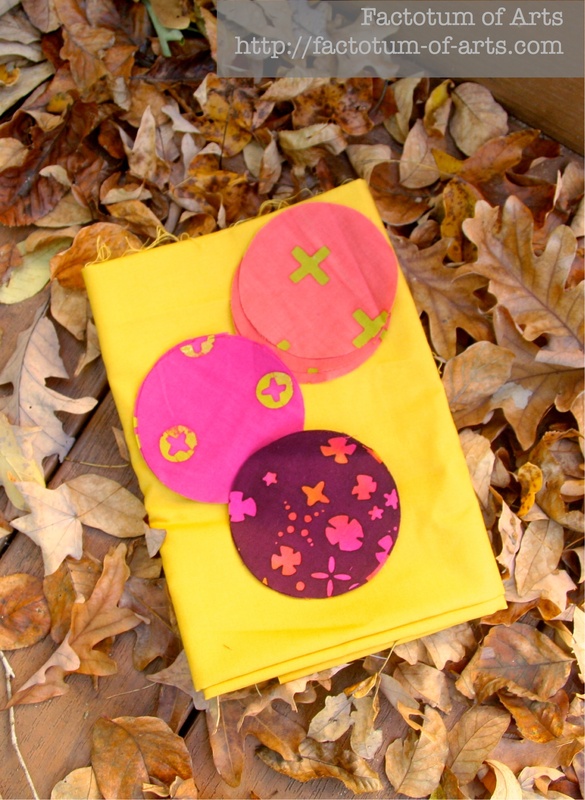 The next one in the series will represent the Autumn Equinox….I have the fabrics ready for my next business trip in early November. This entry was posted in Uncategorized and tagged alison glass, Celestial Spheres, Finish it up Friday, Handcrafted, Winter Solstice on October 31, 2014 by mlwilkie. 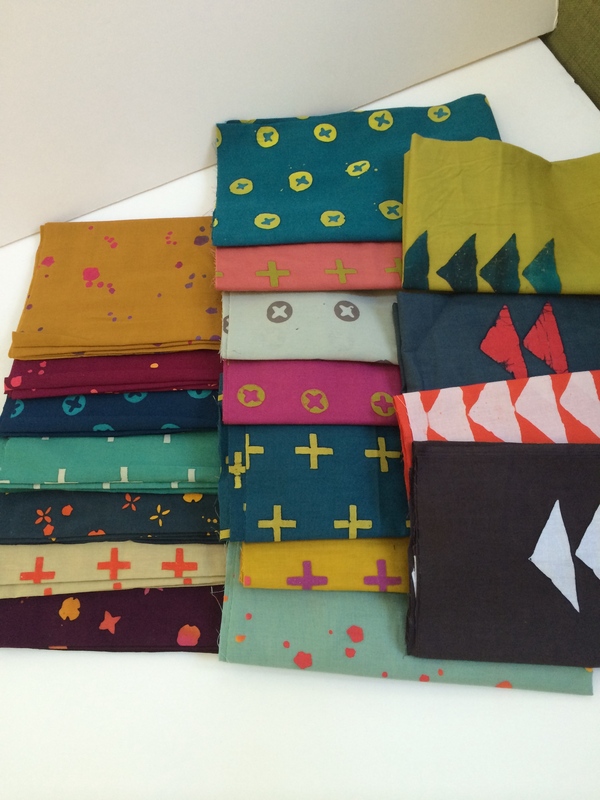 Loving this fabric line! What a fun use for it! Those prints are fabulous, a real find. I like how you’ve rationalised the colour by season. Looking forward to seeing the next one! Love the fabric and the design! !